With all the PR flying back and forth before href=”http://www.cesweb.org/” rel=”homepage” target=”_blank” title=”Consumer Electronics Show”>CES, this was bound to happen. 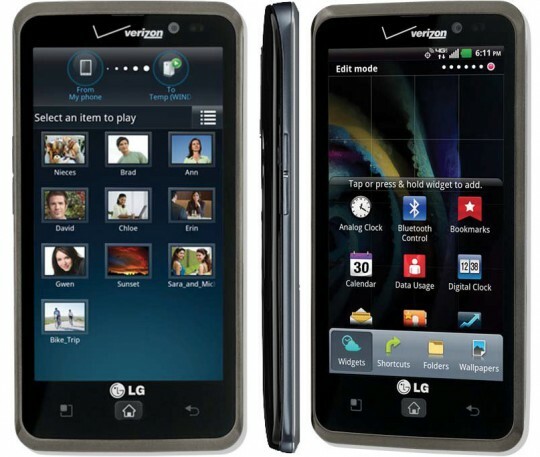 It looks like Droid Life has got its hands on the press release for the LG Spectrum before the intended announcement, which now appears to be Verizon’s branded version of the LG Optimus LTE. In the United States, that means it’s basically identical to href=”http://www.att.com/” rel=”homepage” target=”_blank” title=”AT&T”>AT&T’s LG Nitro HD (try and keep up, folks) with the same 1.5Ghz dual-core processor, 720p screen and IPS display technology. The similarities stack up the further down the specification list you go. An 8 megapixel camera, 4GB of storage space (with a 16GB MicroSD card thrown in for good measure) a gig of RAM and LG’s customized version of Gingerbread all point in the same direction. To help combat the battery-draining effects of LTE, the Spectrum gets a large 1830mAh battery, with an eye-popping 3000mAh battery available for purchase separately. Bluetooth 3.0, 1080p video recording and Gorilla Glass add to the bells and whistles. On the software side of things, popular keyboard replacement Swype is included by default. Based on the leaked press photos, it’s not clear whether or not the Spectrum uses the default Google search like the Nitro HD… or a cobbled-together href=”http://www.live.com/” rel=”homepage” target=”_blank” title=”Microsoft Live Search”>Bing search, like the Verizon LG Revolution. Shudder. There’s no price listed, but given Verizon’s patterns as of late, expect this one to retail for $299 on contract when it debuts January 19th.